Winters: Time To Put On Weight Or To Lose Weight? Why do people blame winters for weight gain? I believe it is a good season for weight loss so that when summers arrive, and your layers of clothes come off, you can flaunt your beach body and those flat and toned abs. People complain that in winters they are too lazy to workout. They do not feel like getting out of the bed, they cannot go out and walk/run as it is too foggy, they feel hungry all the time. The peanuts, gajak and gajar ka halwa adds to their calories. There is more partying, eating, drinking and more festivals, and that leads to weight gain. I was accessing the whole thing and thought that it is so not true. 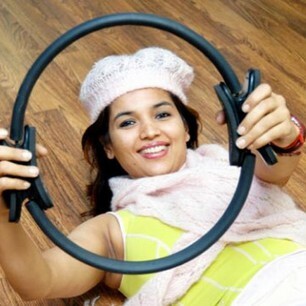 If you want, you can actually lose weight in winters, both through exercising and diet. The kind of fruits and vegetables you get in winters, you do not get the same variety in summers. Winter is the time to have apples, strawberries, oranges, grapes, carrots, fresh and green leafy vegetables like spinach, etc. Winters is the time to have hot soups. It is actually enjoyable to workout during winters. The body gets warmed up. You do not mind sweating unlike the hot and humid months. It is a good time to lift weights, do some cardio, Pilates or kickboxing, some indoor studio training with a personal fitness trainer. Winters is the time to join an intimate partner dance class like Argentine Tango and enjoy the embrace of another person. Then you can also go out for socials and parties and flaunt the moves that you have learnt. During summers you might not want to touch another sweaty person. you can comfortably do these indoor workouts during the winter months: Aerobics, Step aerobics, Yoga, Pilates, Spinning, Boot camp, dancercise, Zumba, Tabata. Here is a typical healthy, nutritious and low calorie diet plan that one can follow during winter. Few almonds, 2 figs, 2 Walnuts, few raisins. Soaked in water overnight. Winters are the time to enjoy dry fruits. If you are a person who likes to go outdoors for walking/jogging/biking, do remember to wear something florescent and bright during heavy fog. Also think about layering up so that you can shed the topmost late as you get warmed up. Another thing to be kept in mind is water intake. People neglect water during winters as they do not feel very thirsty. Some of you sit indoors with the heater on and tend to get dehydrated. Do replenish fluid. Do have 3-4 litres of water even during winters. Follow these simple things for diet and exercise and there is no reason for you to gain weight during winters.